Keep track of a project's lifetime and share information with your team. Know which models were called for a casting or didn't show up, and follow up with those that were selected for a job. 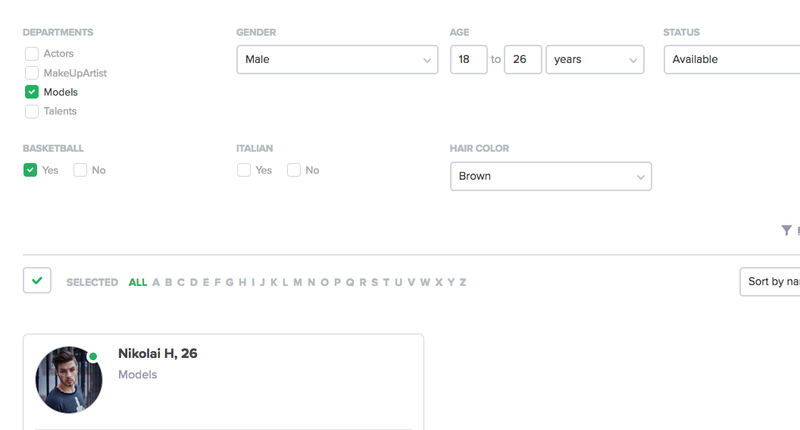 With Guava's search engine you can mix and match models' attributes, age or department. You will find the models that are the best fit for a job in no time. Issue invoices and register payments made by your clients. 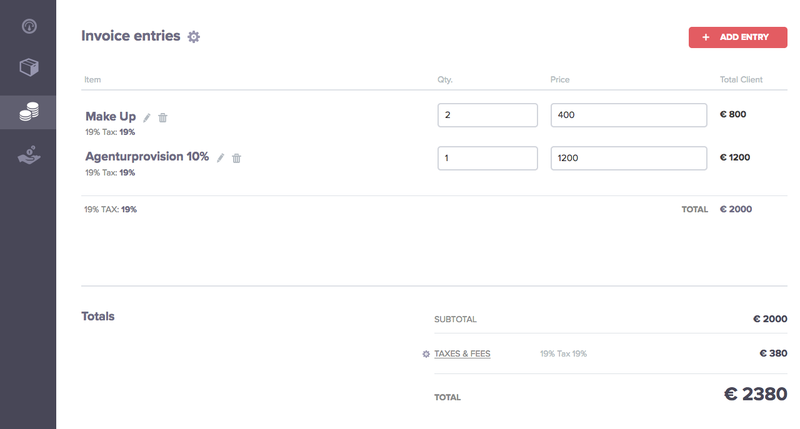 If you already have an invoicing software you can integrate it with Guava. 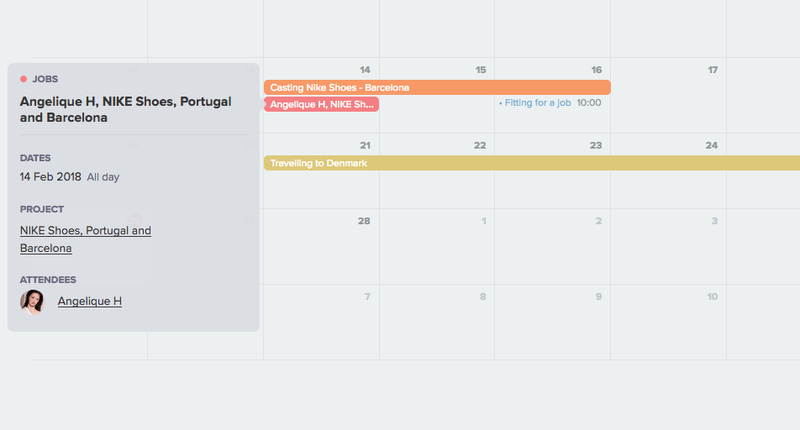 With a detailed view over your talents' schedule, the task of booking appointments, vacations and periods of unavailability becomes easy and painless. Forget the heavy and time-consuming emails you used to send your clients. Easily attach pictures, videos, audio files and budgets to your packages and make them available online for your clients to access. Send emails with attachments and text messages to your talents. Let them know of new castings and notify them when they are selected for a job. All the content and data you insert in Guava is always available for you whenever you need it. You can still do your job even if you are on the other side of the world. 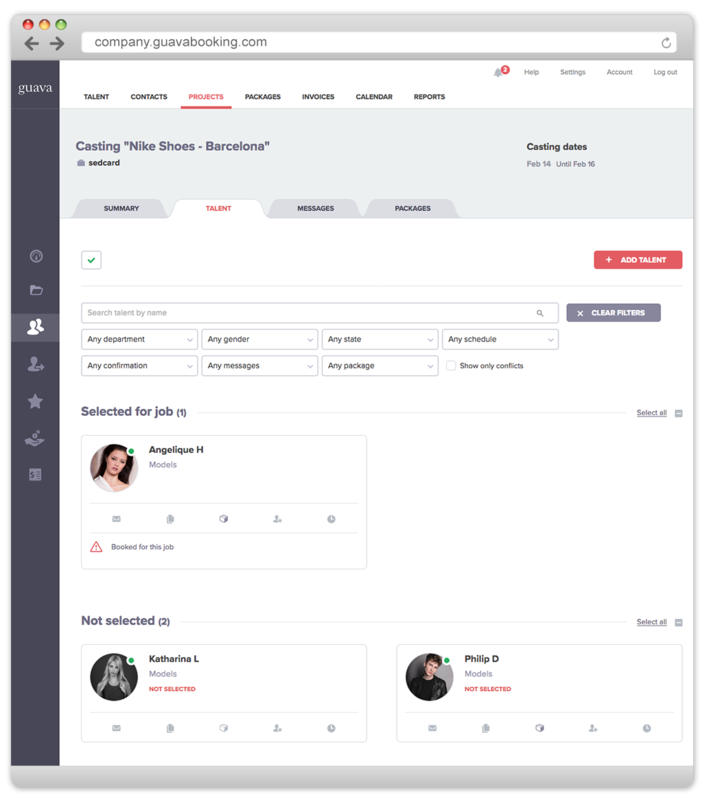 When choosing models for a casting or direct booking, Guava will automatically let you know if there are conflicts with other scheduled jobs or appointments. 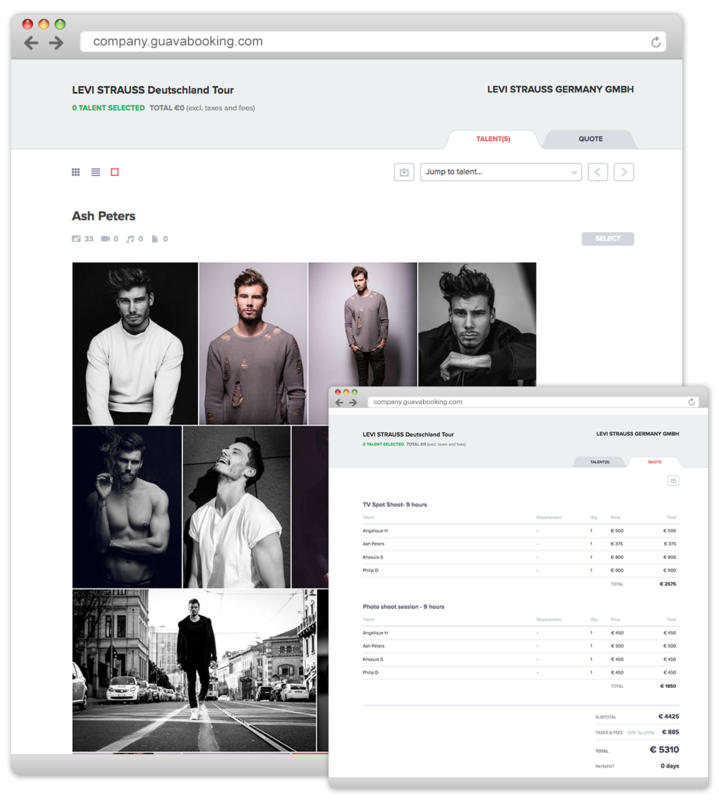 You can get photos, videos and attributes from the models in your Guava account and feed them directly into your agency's website. Keep Guava updated and your website will follow. All updates and improvements are completely free and applied automatically. Therefore, you are always working with the latest and best version of Guava. In Guava, every user can choose the language she wants to work with. Currently you can pick one from: English, Portuguese, Spanish and Italian. Ready to get started? Create an account and start using Guava now! Just fill this small form so we can contact you and make it happen!